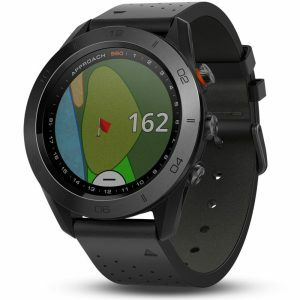 While other Golf GPS products may provide a few calculated layup yardages, the SX500 delivers distances to up to 40 geo-referenced targets per hole, all integrated within HoleVue. 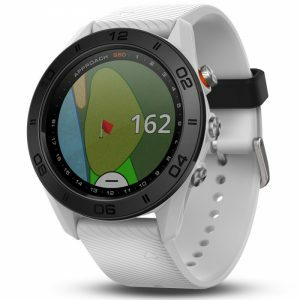 Simply double-tap or pinch and zoom HoleVue to reveal instantly the critical distances to all hazards, carries and layups… all verified by SkyGolf’s ground mapping teams. 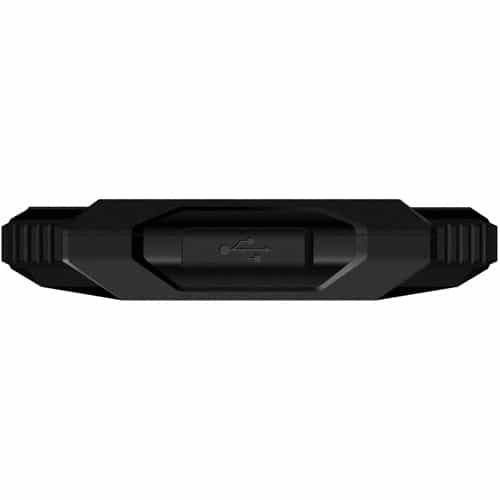 Unlike other rangefinders, which rely on satellite imagery that is often outdated and unreliable, only SkyCaddie walks the course to capture accurate and verifiable data to provide you with distances you can trust. SX500. 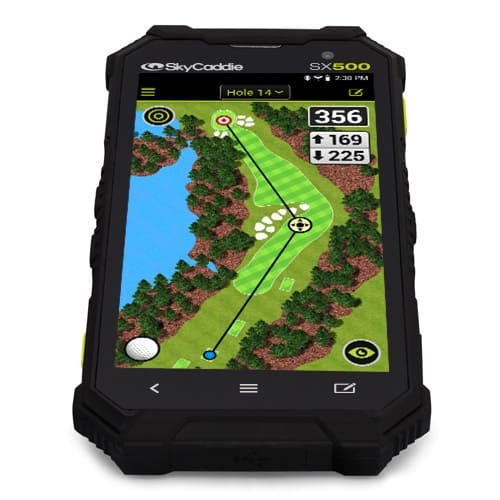 We are also offering a £100.00 trade in for any working SkyCaddie Touch Golf GPS. Offer Valid 01.03.19 – 15.04.19 – Please follow the simple steps below to redeem this offer. into a scoring opportunity by providing front carry and back distances, depth of green, and distances to any other point on the green — simultaneously. touching a button and get the distances you need to avoid hazards and play your best golf. The group behind you will play through if try that with a laser! and faster from tee to green. 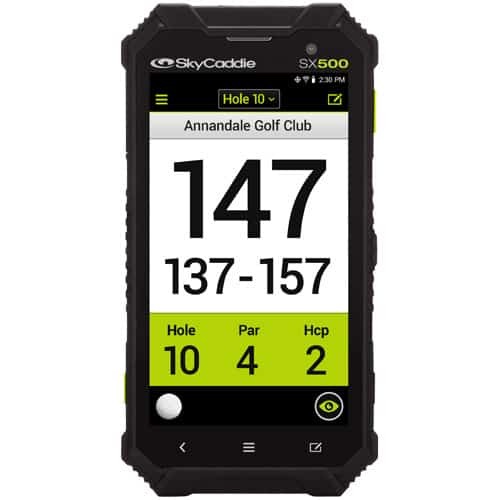 With the SkyCaddie SX500 Golf Rangefinder you can learn quickly how far you hit each club. Customize RangeVue® by entering your club yardages. greens. RangeVue® with Club Ranges provides added confidence on every shot to avoid hazards and dial-in approach shots for more birdie putts. 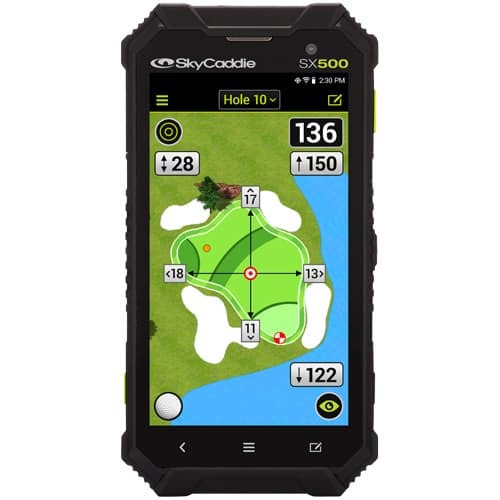 on the hole, even if you can’t see the green In conformance with USGA regulations, SkyCaddie does not factor slopes or gradients into distance calculations. without aiming! Try doing that with a laser! 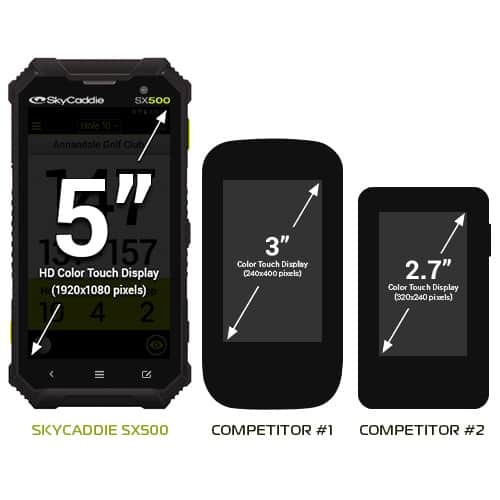 The SkyCaddie SX500 provides scoring options for Stroke and Stableford with handicapping and tracks total putts and fairways hit. 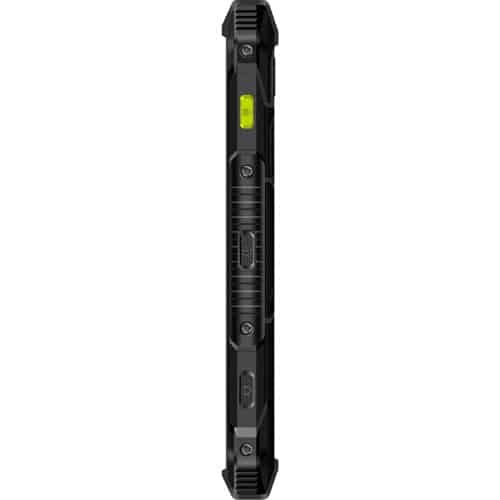 Turn the SX500 to the left or right and the AutoView feature displays a full 9-hole Digital Scorecard instantly in landscape mode. settings allow you to have it your way. Intelligent automation makes sure critical DISTANCE information is ready before you need it.